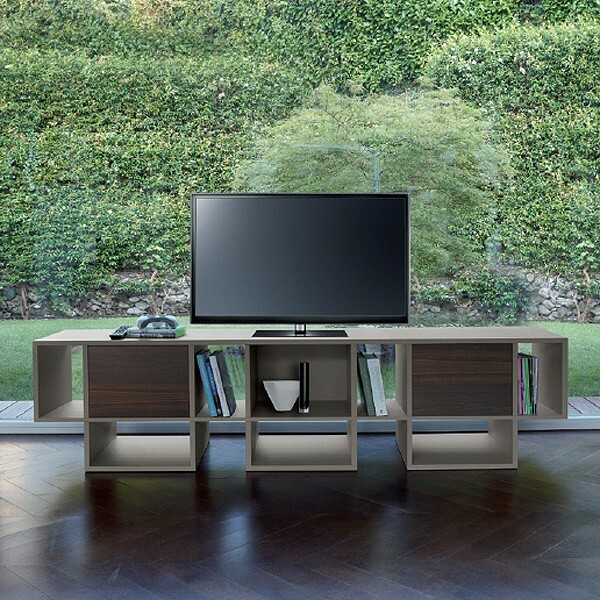 A modern TV unit or sideboard made entirely from wood. 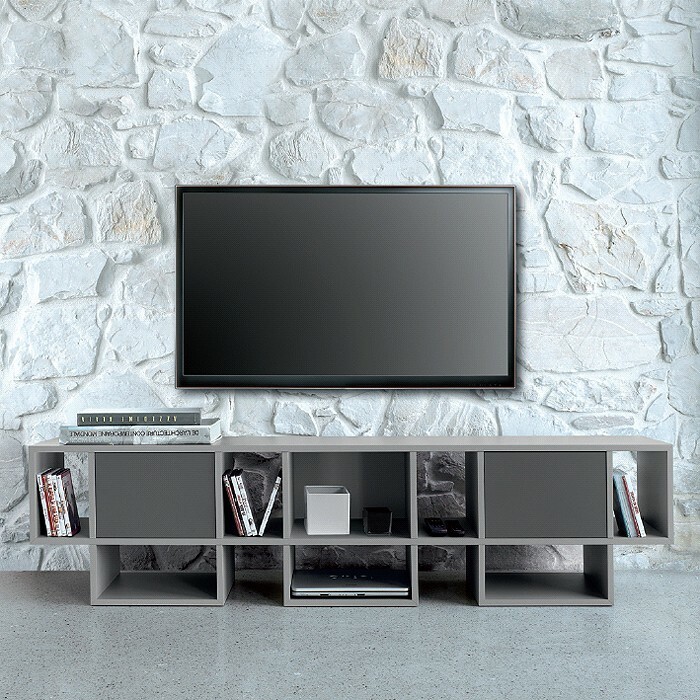 This design allows for hidden and open storage spaces. 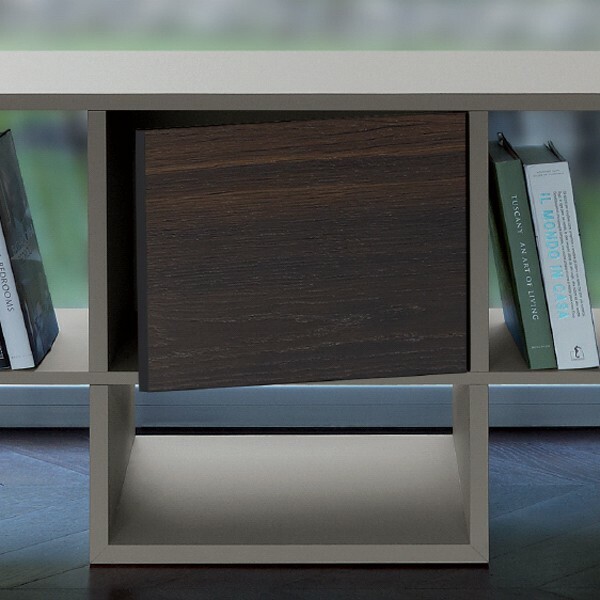 The wood frame is lacquered, with a choice of wood veneered or lacquered doors. Supplied with 2 doors as standard but you can add more if required.